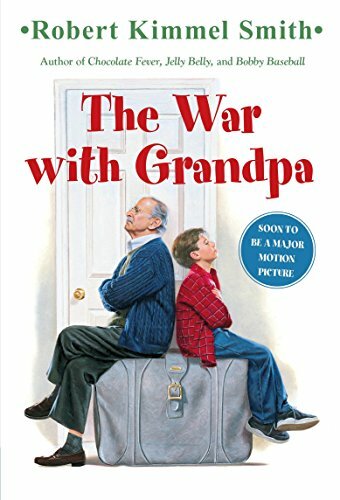 The average reader will spend 1 hours and 19 minutes reading The War with Grandpa (Yearling) at 250 WPM (words per minute). SOON TO BE A MAJOR MOTION PICTURE! The hilarious story of a boy who leaps into battle when he’s forced to share a room with his grandfather. Peter is thrilled that Grandpa is coming to live with his family. That is, until Grandpa moves right into Peter’s room, forcing him upstairs. Peter loves his grandpa but wants his room back. He has no choice but to declare war! With the help of his friends, Peter devises outrageous plans to make Grandpa surrender the room. But Grandpa is tougher than he looks. Rather than give in, Grandpa plans to get even. They used to be such great pals. Has their war gone too far?